On rainy days, choose gourmet spots wisely, and enjoy tasty culinary delights. From sushi, seafood, Kanazawa oden, and Kanazawa curry, to Kaga vegetables and Noto beef, Kanazawa has much to offer in terms of culinary delights. One of the pleasures of traveling is visiting various restaurants. However, walking around in the rain for a long time can be hard. 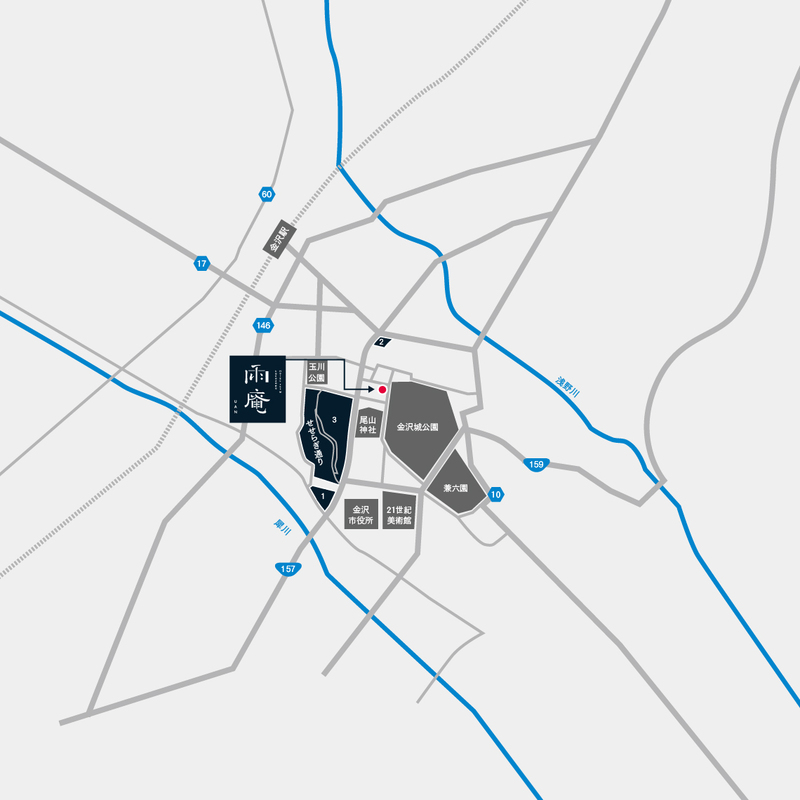 So here, we introduce Kanazawa's gourmet spots, where you can choose the kind of cuisine you would like to try. Shintenchi, Kanazawa's authentic gourmet spot, is located an alley away from Katamachi, Kanazawa's busiest area. 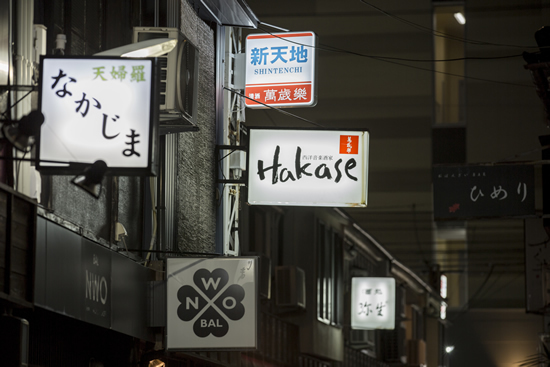 With small restaurants, izakayas, sushi shops, bars and other establishments packed together tightly, the area has an air of the mid-20th century Showa era. If you want to get a taste of the real Kanazawa, head deeper into Shintenchi to the yatai yokocho Kanazawa Chuo Mishoku-gai. Down this street there are around 20 small restaurants with only counter seats operated by male and female proprietors who give a friendly welcome to regular customers and tourists. 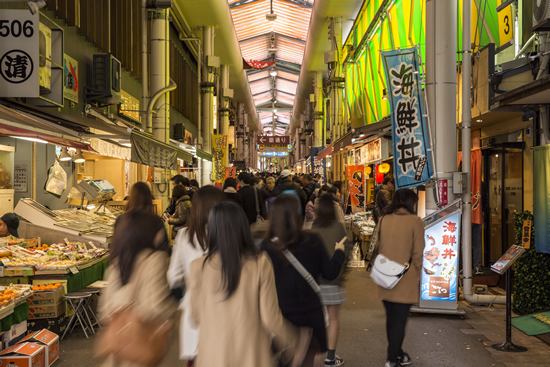 Omicho Market, known as “Kanazawa’s Kitchen,” is often featured on TV and in magazines. Every day, this market is bustling with local customers and tourists. You can buy fresh marine products here, and also enjoy eating sushi, rice bowls topped with seafood, and other dishes at one of the many restaurants. The whole market is inside an arcade, so it is the perfect place to explore on a rainy day. There are many stores which grill and sell shrimp, shellfish and more, so it is fun to sample a variety of food as you walk around. The Kuratsuki Canal was built before the Edo era. 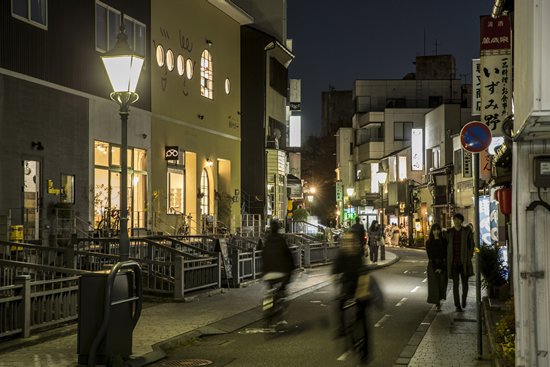 Seseragi Dori, which runs along the canal, is a street lined with stylish gourmet and fashion establishments, including coffee shops, bakeries, secondhand bookstores, antique shops and boutiques. It has cafes which you can drop into while walking around the town, and a substantial number of sushi shops, Japanese restaurants and bistros, so it is perfect for visitors who want to make their trip memorable by sampling delicious cuisine. Enjoy searching for a restaurant you like while listening to the murmuring of the water flowing alongside.